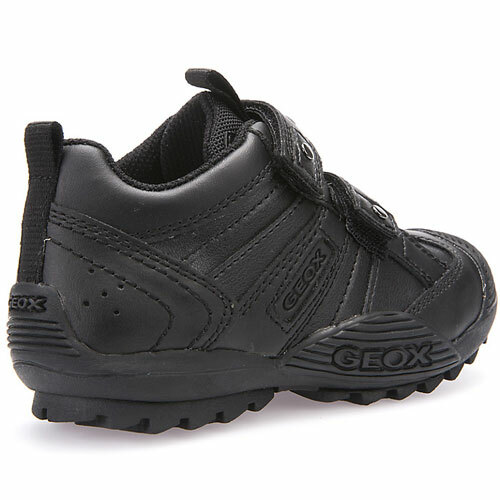 Geox Savage – come fully equipped to handle active little boys. 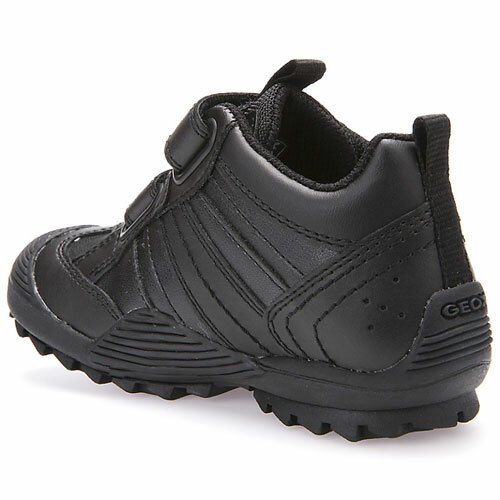 The feature tough leather uppers, a durable rubber sole and even a toe protector to cope with whatever is thrown at them (and knowing boys’ school shoes, that will probably be a lot!). 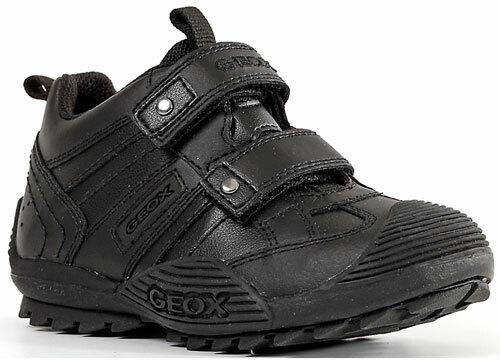 These Geox shoes for kids come with a removable leather insole, a mesh lining and, as with all Geox boys shoes, Geox’s patented breathable sole (probably best if you don’t want smelly feet). 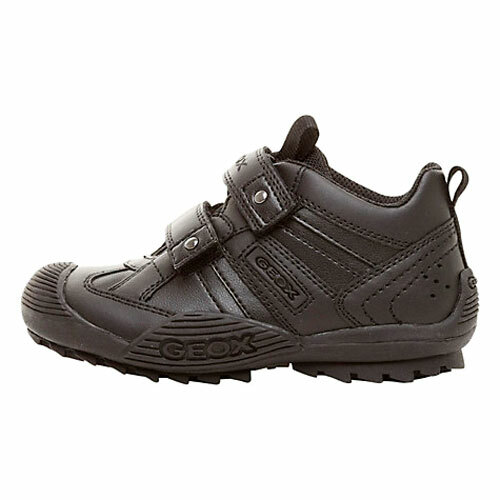 They’re also very comfortable, supportive and easy to get on, since the Geox Savage boys shoes feature double velcro fastenings, thickly padded tongues and ankle collars. 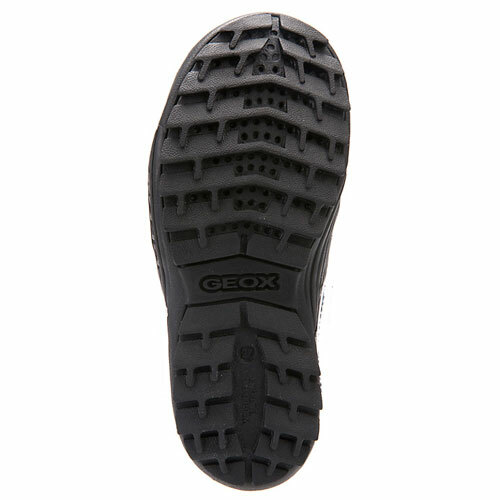 Note – older stock, hence the great price!